Depending on the water power plant construction technology used and the type of water turbines used, the water outlet is via a long outlet channel. The speed the water reaches in the outlet duct is quite high. There is a dominant attraction current that attracts fish that want to swim upstream. When the outlet channels need to be closed, e. g. during inspections or due to turbine failure, it may occur that after the water is pumped out of the outlet channels, there may be very large quantities of fish. Usually access to these channels is quite limited and is usually done through small manholes or locks. Before carrying out any work in these channels, fish remains have to be cleaned, which prolongs the time of the plant’s downtime. 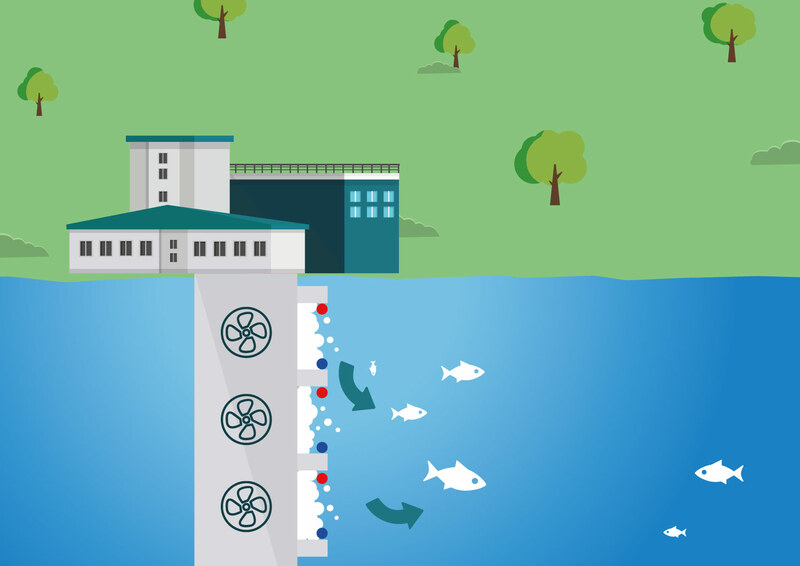 By using the NEPTUN system, which can demonstrate a very high degree of efficiency in blocking fish from access to areas we want to protect, we can significantly or completely reduce the number of entering fish. Depending on the hydrotechnical conditions, positive and negative electrode mounting is properly designed and the location of their installation is selected. Between these electrodes an appropriate electric field is produced which effectively deters fish from entering the turbine outlets. 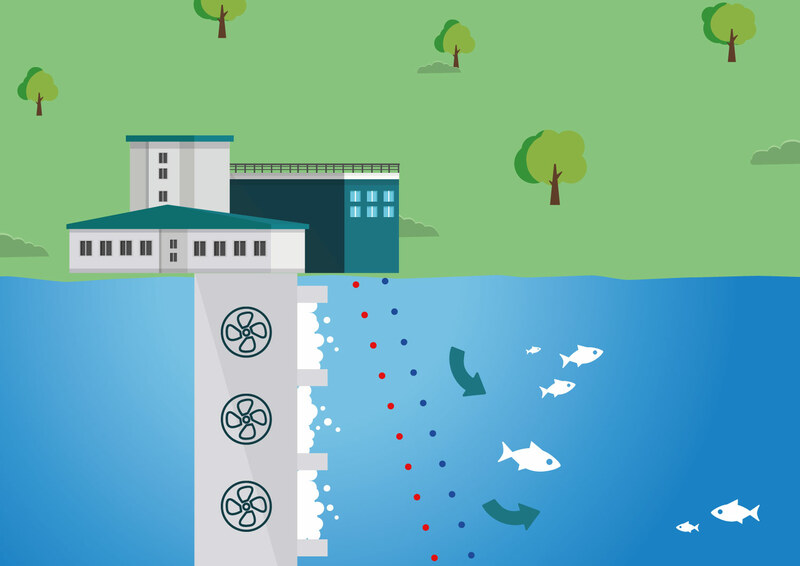 By using the NEPTUN system we can e. g. reduce the plant’s downtime, because we do not need to remove fish that have entered the outlet channel. By using the NEPTUN system the user shows that he does not only care about his own profit, but also tries to protect aquatic organisms from danger. This improves the company’s image in the eyes of pro-ecological and environmental institutions.